Colorado Springs Fire Station #1 was designed by Thomas MacLaren . This building is associated with the history of municipal services in Colorado Springs, having been erected as the central fire station in 1925. It continues in that function today. The building was designed by the local architect Thomas MacLaren, and represents the influence if Italian Renaissance style architecture with is t hipped roof with broadly overhanging eaves, tile roofing, masonry construction, arches above windows and elaborated entrance with classical pilasters. 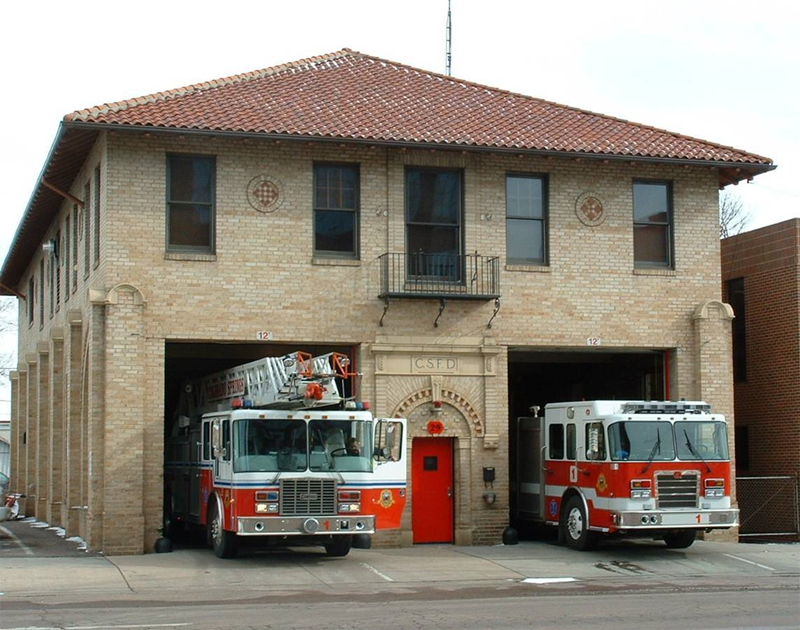 The first paid fire department was authorized by City Council in 1894, and the initial central fire station was located on North Nevada Avenue, where the Municipal Utilities Building now stands. The connecting building to the south was added to provide administrative offices for the Fire Department. State Register eligible. For sale in City’s 2008 proposed budget. The Black Squirrel Creek Bridge is a Parker truss bridge in eastern El Paso County, Colorado. The bridge carries U.S. Route 24 across Black Squirrel Creek at the highway’s milepost 327.33.